He and he just look so great, beautiful work! an incredible professional, a legend , Thank you very much for your comment. 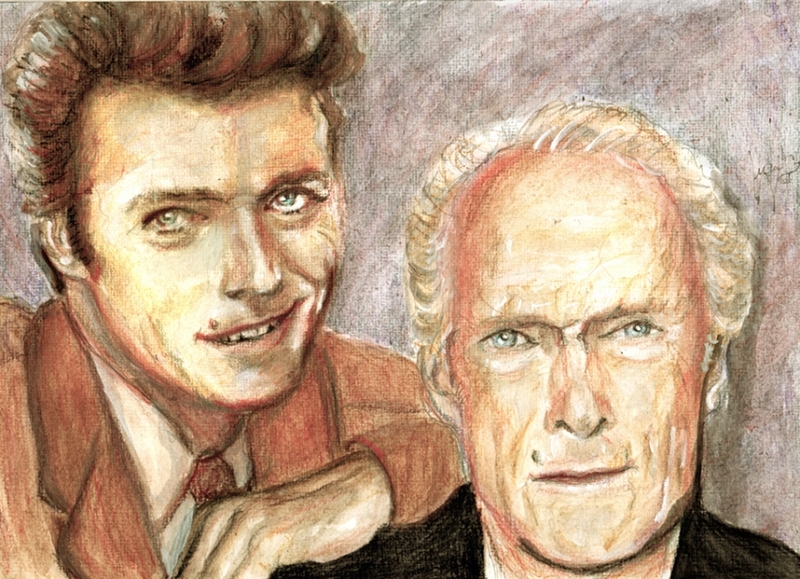 Amazing resemblance to Clint Eastwood. Bravo!! LOVELY!!! lot of charm!! J'adore!! GREAT Toyscape!! I like a lot this great actor!! A nd director of films, too!! Superb composition and likenesses, Marta. I like how you positioned them to look like a father & son portrait. Great star. I'm glad you liked it, thank you. Amazing likeness and his son Scott looks just like him. Yeah, his son really looks like him. Thank you for the kind comment.